How much time should I spend on professional development? Assess your skills, make a plan and review your progress. Deciding on how best to achieve a balanced mix of professional development skills can be difficult given the diversity of development opportunities. This section helps provide you with a structured approach. Researcher development at the University of Bath is aligned to a professional development framework called the Researcher Development Framework (RDF). This industry standard framework has been developed by Vitae in partnership with researchers, funders and employers. We strongly recommend that you familiarise yourself with the RDF. A good starting point is conducting a training needs analysis with your supervisor, using the RDF. This will enable you to assess the skills and knowledge you are going to need at different stages of your doctorate against your current abilities. These discussions could be used to develop a personal development plan. You may want to start these discussions with your supervisor during your first few meetings. It’s important that you periodically review your professional development needs and include this in meetings with your supervisor(s). When reviewing your progress, bear in mind that there are many ways of learning that are not always obvious. Establish your development needs, then discuss with your supervisor (and others) the best way to achieve them. The Careers Service offers support to doctoral students, with suggested career development activities for each stage of the doctorate, and also extensive information on career options for researchers. Contact the Researcher Career Development Adviser, Anne Cameron, for a confidential 1:1 discussion of your career options and plans. The Careers Service also offers the opportunity to engage with a wide range of employers and alumni through our recruitment and skills programme. You are responsible, with the help of your supervisor, to manage your professional development during your doctorate. However, the Doctoral Skills team is here to help you identify the broad range of opportunities available. We offer a range of both online learning and face-to-face workshops to support your professional development during your doctorate. This is intended to compliment development activities that are provided to you through your department or faculty. However, as well as formal training, you should also consider as professional development other activities you undertake as part of your doctorate. These can be matched against the RDF and can provide evidence of many transferable skills. Here are just some examples of the diverse range of development activities that could be considered under professional development. 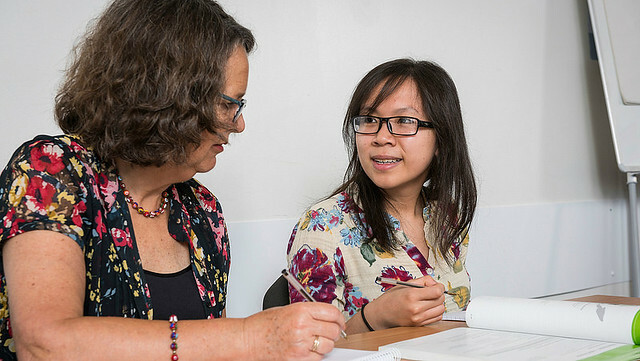 Develop your academic writing: There is a range of support provided by the Skills Centre, including drop-in sessions and 1:1 tutorials with professional writing tutors. Maths and statistical support: The Mathematics Resources Centre (MASH) is available to all doctoral students. Public engagement: Find out more how the Public Engagement Unit can inspire and support you in public engagement activities. Remember to keep a record of the activities or tasks you have undertaken and how they have contributed to your professional development. Remember, these don’t have to be just formal training workshops or courses. Write statements to demonstrate what skills or knowledge you have learned. Give specific examples of how you have used them and what you achieved. These statements will be invaluable for writing job applications and preparing for interviews. Use the RDF to help you define the skills you have. All researchers, whether students or staff, are expected to build up a broad range of skills as part of their professional development and manage this process alongside their research work. Doctoral students are expected to engage in the equivalent of at least 10 days of skills development activities per year (pro-rated for part time students i.e. 5 days for 0.5 FTE). It may be difficult to monitor exactly how much time you spend on developing transferable skills, especially as many of these will be gained in the course of your day-to-day research activities. Rather than just focusing on the number of days, we recommend that you think more about the process of professional development and about what you hope to achieve. This will help you to develop your skills and knowledge in the right areas.